With one of the largest working envelopes in its class, the Nifty TM50 delivers maximum reach with stability and control. Octagonal boom sections provide strength without compromising on weight and the telescopic upper boom improves accuracy when positioning the platform. 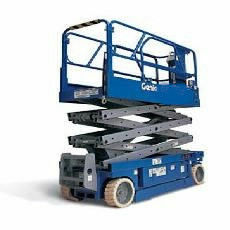 Hydraulically operated outriggers and controls make setting up and operating quick and easy, especially on uneven surfaces. The TM50's outstanding horizontal outreach makes it ideal for a wide range of applications. Fully proportional hydraulic outriggers make setting up and leveling quick and easy even on gradients. 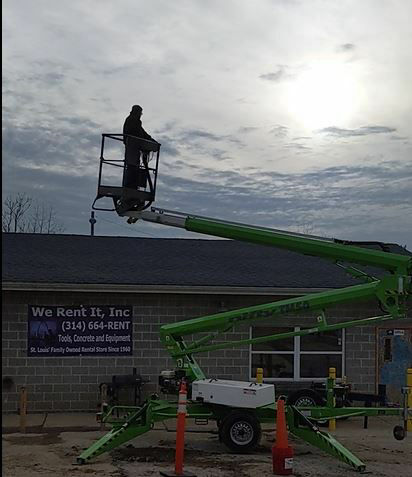 A Slab scissor lift is easy to maneuver in tight spaces, has a 25-ft working height, boasts quiet electric, zero-emissions operation and is ideal for indoor and outdoor applications on level surfaces.